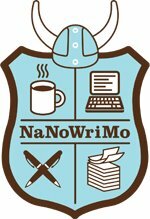 November is NaNoWriMo. It stands for National Novel Writing Month and although I am not thinking of writing a novel, I am probably long overdue to write another eBook. So I’m thinking of signing up to the challenge. I can do that. I’ve done it before and, as I said yesterday, I’m ready for a new challenge. Can you write a book in a month? No. But can you gather together 50,000 half decent words during November and then go onto shape it into a book? Deffo. So, today, that’s my plan for November, to produce 50,000 words. What will my NaNoWriMo book be about this year, given that I don’t have fiction in me? I want to write about entrepreneurs and the self-employed and small business owners. Specifically I am interested in the sort of entrepreneurs who work at home, mostly alone. It’s isolating, scary, exhilarating, liberating, terrifying, challenging. I know this because you’ve told me so on Facebook. I know what self-employment feels like because I’ve done it since God was a lad. But I am more interested in what it feels like for other people, some of whom are my clients, some of whom are not. Self-Employed Stories. That’s what we want. Why you went into business for yourself. What’s the best thing about it? What’s the worst thing about it? Why you chose it or it chose you. Where you are headed, why you wouldn’t change it or how you would and perhaps one brilliant idea from me about how to improve your lot. Or not. Depends on how brilliant I am feeling that day. Fancy joining in? Obviously I need 30 people to interview on Skype, each interview would come to about 1,666 words and that’s just for starters. Who knows where this might lead? I would write each one up on this blog initially so perhaps my November isn’t NaNoWriMo, perhaps its Entrepreneur Month. And how would that be any different then from any other month, I hear you ask? It wouldn’t, but that’s the secret to success isn’t it? Finding ways to refresh what we are up to and ways to fall in love with our work and our clients all over again. Want to be part of it? Do comment below about your self-employment, especially if you work at home, mostly alone. How is it? Don’t glamorise it please. We want the story, warts and all. I want to be able to tell your story on my blog, in my book and perhaps in audio and/or video too. There’ll be a link to your website if you want that, or we can do it anonymously if you prefer. I’ll talk to newbies at this and those who have been around the block a bit and serial entrepreneurs like me. And I’d love it if you would recommend people I should talk to. People who know how to tell a good story and those would enjoy being part of this project and encouraging others to work for themselves from home. Do share your ideas below or contact me by email. Bless you, you wonderful little micro business owner. Let’s talk and let me write up your story so that others can read it and weep and learn and feel heartened and encouraged and stimulated and inspired to follow where you have lead. Or just to keep on truckin’.